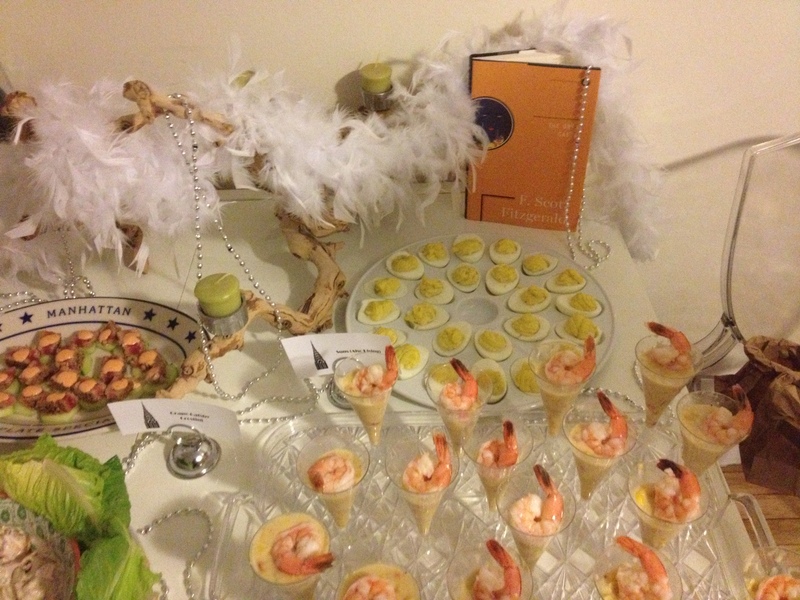 When I realized how much money I was spending on food for my Prohibition Party, I put myself on a tight budget for the decorations. 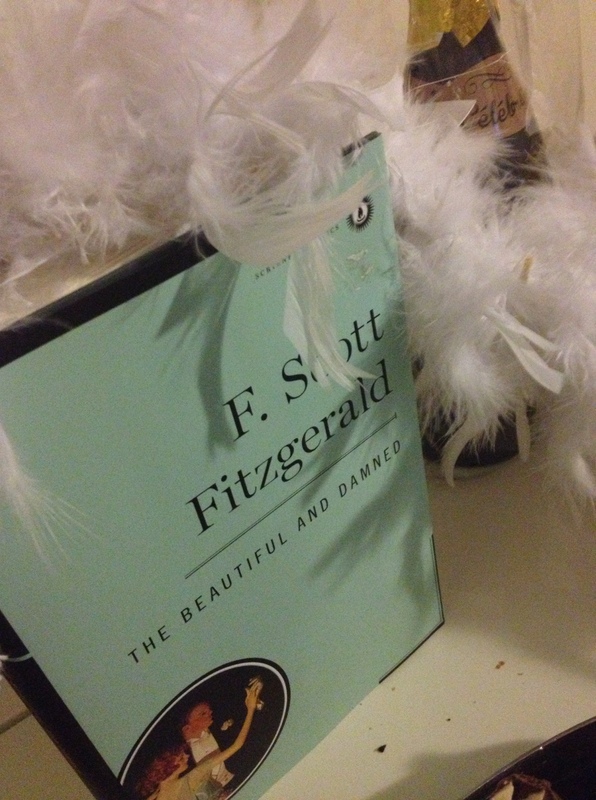 I propped books from the era (“The Great Gatsby” and “The Beautiful and Damned”) at the ends of the buffet and draped a white boa and silver beads everywhere. On the name cards identifying each dish, I incorporated an image of the Chrysler Building – the most iconic silhouette in the art deco theme. It was simple but spruced up. I was against doing a photo wall or balloons because I wanted this to feel like you were in the era, not like a cheesy representation of the time. I preferred placing little touches all over the place rather than go wild and unrealistic. (See the original post for additional images, like signs for the front door and party favors.) I was going for soirée, not bar mitzvah. Tags: Decor, Parties. Bookmark the permalink.